In conjunction with Stockton 6th Form College our Football Club is about to embark on the next stage of its development with the launch of its Football Academy in the Summer of 2019. This will see huge opportunities for the young people of our Borough to combine their passion for football with there educational needs upon leaving school. The Club and College have put together a fantastic package in conjunction with Teesside University to launch this new opportunity. Each students educational needs will be met by the College who have an outstanding record of exam success over many years. The Football Coaching and playing opportunities will be provided by the Football Club under the management of Liam Cox and his team of FA Qualified Coaches. Liam’s background is outstanding having spent many years working for the FA in their Coaching delivery and Coach Education programme, while also being involved in management in senior football within the National Pyramid. Liam was also one of the Coaches delivering within Jamie Vardy’s V9 Academy. Players will be able to access A Level education in all main stream subjects as advertised in the College’s prospectus and will represent the College on Wednesday afternoons in the North East Colleges League, playing across the region. Training will take place 4 days a week in a professional environment where achievement and commitment will be pre-requisite at all times. 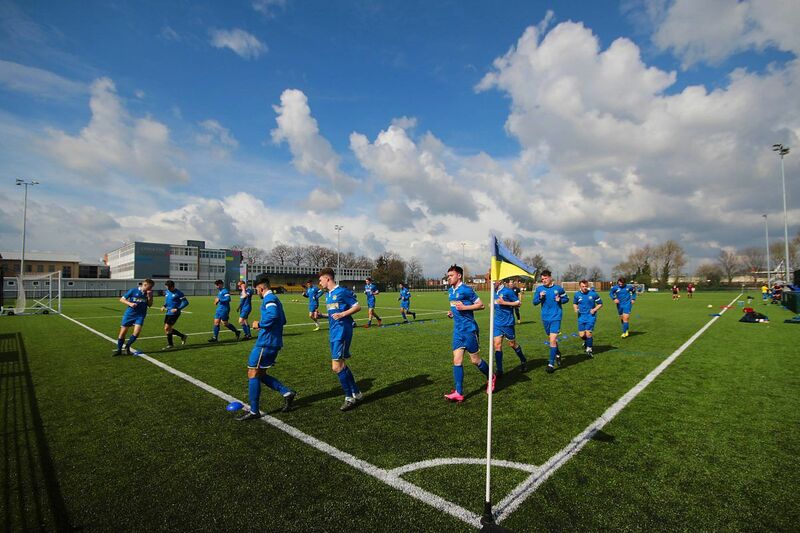 Here at Stockton Town we have a proven and demonstrable record of progressing junior players to our 1st team that competes at Step 5 of the National Pyramid and this as well as many other options will be open to students. Don’t want to leave your TJFA team that you have played with for years, not a problem, this course and opportunity is still for you as we don’t wish to break those playing opportunities. The programme will see students offered the chance to develop their footballing ability alongside gaining academic qualifications, in a provision ideally catered for students who would like to pursue a career in football or progress to university. They will be studying three A Level or Level 3 Vocational subjects, including courses in Business, Construction, Criminology, ICT and Sport among the provision offered. Students will also receive the chance to re-sit GCSE English and Maths if required. Neil Skerry, Vice Principal of Stockton Sixth Form College, believes that the course offers a unique opportunity for students. He said: “Stockton Sixth Form College is delighted to be able to provide a bespoke offer for students to combine their individual choice of academic programme with the first class coaching and unique enrichment opportunities offered under the academy structure. Stockton Town Football Development Officer Liam Cox will be integral to the delivery of the program and he believes the offer is a compelling one for students. He said: “This is an exciting new venture for both the college and the football club and to have such a strong package for a football academy at this level is something we are really looking forward to. Students will be able to train and enjoy their football in a way that would be similar to those in a professional club environment. “To have the standard of coaching we have, training three or four days a week, mixed with a strength and conditioning program, physiotherapy and match analysis, is something any keen footballer would love to have and the response we are getting from young students in the area has already been amazing. The football club has made great strides in recent years having progressed from playing in the Wearside League to gracing English football’s finest stage at Wembley in the FA Vase final in May. The club already coaches over 300 young people in their junior teams and chairman Martin Hillerby believes the new Academy provides an excellent opportunity for local teenagers. He said: ““The launch of this Academy in conjunction with the College is an important next step in the development of the football club. The benefits we can bring to the youth of the area in combining both their sporting and educational aspirations are highly exciting. 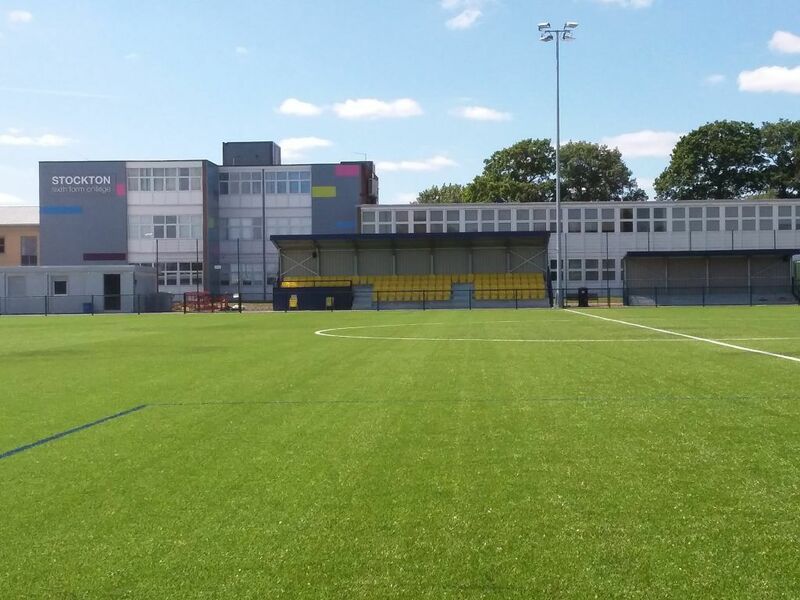 Students enrolling on the course will receive a wide range of benefits such as free kit and training wear, use of the club’s £1million pitch and stadium facilities, match analysis and therapy provision amongst other incentives. Interested students wishing to gain further information about the academy or wanting to express their interest are encouraged to contact Liam Cox on 01642 604915 or email via liam.cox@stocktontownfc.com.